The Conexant AudioSmart™ 2-Mic Development Kit for Amazon AVS is a cost-effective, hands-free solution to add Alexa to your product. Additional solutions coming in 2017 will deliver fully integrated, high-performance far-field reference designs that make it easier to build and launch products with Alexa. These kits will include an integrated suite of service APIs, client software, chipsets, and voice processing technologies that reduce development costs and accelerate the Alexa integration process. 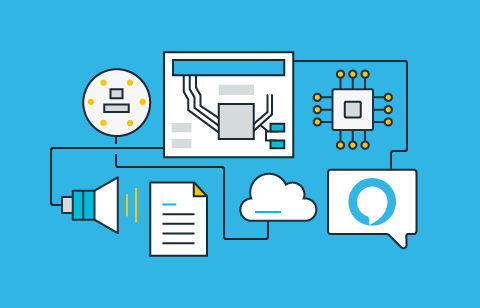 Register as an AVS Developer now to be one of the first to hear about upcoming reference solutions and designs with Alexa. To help you build and launch products with Alexa, we have also published new UX guidelines to help you design the best voice experience for your products, and marketing and branding guidelines for commercialization. Have questions? Visit the AVS Forum to speak with one of our experts.